Home Drugs and Pharmacy How Long Does Valium Stay In Your System? 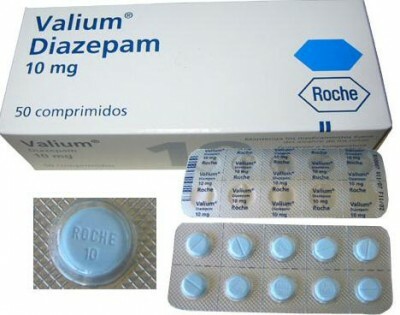 Valium (Diazepam) is a benzodiazepine anxiolytic, with a wide spectrum of activity. Sedatives and benzodiazepines are the most commonly used, immediately after having a soothing effect on the central nervous system and thus suppressing anxiety. Effectively eliminates the anxiety and tension, regulates autonomic functions, acting soothing, anticonvulsant and muscle relaxation. The sedative effect is achieved by reducing the reactivity of the central nervous system. It has a mechanism of action where it reacts with GABAA receptors as a positive allosteric modulator (PAM). It binds to the “B” unit of the GABAA receptors as opposed to GABA which links with “A” subunit. Valium is used in anxiety conditions – general endogenous anxiety or because of social conflicts, insomnia associated with anxiety, abstinence syndrome in drug-addiction, premedication in diagnostic and therapeutic interventions. Specialists do not recommend tranquilizers to be taken longer than four or for a maximum of six weeks. When combined with alcohol, their toxicity is increased, and so is the count of reported cases of overdose caused by such combination. The most commonly used sedative is Valium (Diazepam). Valium side effects are fatigue, drowsiness, and dizziness, less frequently confusion, depression, ataxia, and thrombophlebitis as a result of extravasation. There may be a paradoxical reaction in the form of irritability, heightened anxiety, and aggressive behavior, especially in children and elderly people. After long-term use tolerance and dependence can be developed. There were cases of hypotension and disorder of motor coordination. Reducing the dose these side effects usually disappear. How Long Does Valium Stay In Your System After Treatment? Diazepam is well absorbed after oral administration. Peak plasma concentration is reached in 1 to 2 hours. It gets metabolized in the liver by a process called microsomal oxidation in a larger number of active metabolites. For multiple doses, there is a significant accumulation of active metabolites and diazepam. Diazepam is liposoluble of all benzodiazepines and rapidly distributed into the fat tissue, and from all of the benzodiazepines, it has the fastest functioning. It gets eliminated through urine. The half-life of Valium goes from 30 to 56 hours with estimated average time of 43 hours. If we consider 50% of 43 hours for its elimination, it is clear that the Valium gets eliminated in about ~9.85 days. Although the Valium has left the system, it’s metabolites are still in the body, which can prolong the symptoms. It takes about 22.92 days for the Nordiazepam, the metabolite to get excreted from the blood since its half-time is 70 hours. The symptoms of Valium withdrawal are the result of an accumulation that occurs after a long time when someone used benzodiazepines, developing physical dependence, and then suddenly stop taking them. This is usually accompanied by a severe sleep disorder, irritability, increased tension and anxiety, panic attacks, sweating, difficulty with concentrating, confusion, memory problems, vomiting and bloating, headache, muscle aches, and possibly hallucinations, psychosis, and suicide. The half-life of any drugs, sedatives or substances is the period required for it to be naturally eliminated from your system. The half-life of Valium is quite long. Valium is a benzodiazepine with prolonged effect, gets ingested inactive and becomes an integral part of the metabolic processes in the body, including the liver and the brain barriers. Valium can not be detected in some tests in a short period of use, but it can be detected even after three months after stopping therapy. Time detection of the Valium in the body is also different from each individual since it depends on their metabolism, age, body weight, physical activity. Diazepam can be detected in the blood or plasma to confirm a diagnosis of poisoning in hospitalized patients, to ensure evidence with victims of road traffic accidents, or to assist in the death investigation. Early detection of a drug abuse is one of the prerequisites for successful prevention of this kind of substance abuse. A positive result only determines whether the person tested in a shorter period of time prior to testing took a psychoactive substance, but is not automatically proven that the person is dependent on it. What Factors Affect The Duration Of The Drug In Your System? It can be very difficult to determine how a drug will remain in your system because they are all different and there are many factors which determine the drug duration in your system. Since the liver is the main organ which is in charge for Valium excretion, it is important to consider possible problems which the liver if the Valium excretion is involved. If you suffer from a certain liver disease, it can slow down the breakage of the drug, and it will prolong the elimination. It is different if a person has a healthy liver with a half-life of about 32 hours and an ill liver which can count up to 164 hours of a drug metabolism. When it comes to drug excretion, it is important to have in mind the person’s basal metabolic rate (BMR). This is the factor which can have an impact on the substance excretion rate in the system by increasing the speed of metabolism in general, influencing on digestion and hepatic and kidney function. The shorter elimination time can be among those who have hyperthyroidism, where their metabolism gets accelerated via T3 and T4. The metabolic oxazepam will leave the bloodstream faster. For those who have a slower metabolism, it can be due to hypothyroidism or even it can be due to genetics, where some persons are called “poor metabolizer” and have a slow basal metabolism speed rate. If you have an excess body weight, it is possible that you’ll keep the drug in your system for a longer period of time, since it will remain trapped in fatty deposits. If you’re skinny, you probably have a faster metabolism and will excrete the drug faster. Hydration can help to speed up the excretion of the drug from the system since it will stimulate the kidneys to secrete urine which is the elimination path. The duration of time and how often you use a drug can contribute to its elimination and can make a big difference. It is well known that if the person is taking a drug for a longer period of time, it will have a higher concentration in the bloodstream. The frequency of use is also an important factor. This is due to enzyme function, where it is easier to break down smaller doses more frequently than one large dose at a time. So, you will have faster excretion if you take 0.5 mg for a few times a day as oppose to taking one dose of 10 mg. There are several individual factors which can influence on Valium excretion. One of these is the person’s age. The elderly will take longer to excrete the same amount of drug as when compared to young people. Elderly patients have a slower metabolism, thus, they will have a longer half-life of a drug and a longer elimination where among young people it can be about 10 days whereas among elderly it can get prolonged up to 20 days. The hepatic function can be determined by the genetics, which, among all other things, control the enzyme functions in the liver. Enzymes which are responsible for diazepam metabolism are CYP2C19 and CYP3A4. There are some genes which will promote certain protein synthesis which will lead to enzyme expression and a faster elimination time. It can be an important thing to include when talking about Valium elimination. When taking other drugs simultaneously with Valium, they can have an impact on the drug itself. The other drug you might be taking can affect the CYP2C19 and CYP3A4 enzymes in the liver and therefore, accelerate or slow down the Valium excretion. There are drugs which are called inhibitors that slow down the excretion of the drug. Those are Prozac, Chloramphenicol, Moclobemide, Clarithromycin, Indinavir, Ritonavir, Ketoconazole. There are drugs which are inducers which promote drug elimination. They induce the activity of the enzymes in the liver and affect the outcome. If you use them at the same time as Valium, they can increase the speed of Valium elimination. Those drugs are Aspirin, Prednisone, Rifampicin, Carbamazepine, Norethisterone, Phenytoin, Oxcarbazepine. Valium can be detected in the hair follicles even after 90 days. It is estimated that these anxiolytics are used by every second citizen and that annually consumer’s drug quantity goes as many as 20 tablets per person. Anyone can become addicted to Valium, so the first rule is to never take anxiolytics on your own. Dependence creates after three to four weeks of daily consumption. When taking medications lasts much longer, the symptoms for which you started taking the drug in the first hand get worse. Also, it is extremely dangerous to combine Valium with alcohol because alcohol can lead to coma and this situation causes a lot of complications and a small percentage of survival.